Nikolay Yakovlevich Danilevsky (November 28, 1822 – November 7, 1885) was a Russian naturalist, economist, ethnologist, philosopher, historian, and ideologue of the pan-Slavism and Slavophile movement. He is best known for his criticism of Charles Darwin's theory of evolution and his theory of historical-cultural types. The latter asserted a set of historical types according to ethnicity or nationality and a circular view of history, and concluded in a vision for the unification and development of the Slavic world. Danilevsky was born in the village of Oberets in Orlovskaya Oblast. As a member of a noble family, he was educated at the Tsarskoye Selo Lyceum, and after graduation went on to an appointment with the Military Ministry Office. Dissatisfied with the prospect of a military career, he began to attend the University of St. Petersburg, where he studied physics and mathematics. Having passed his master's exams, Danilevsky was preparing to defend his thesis on the flora of the Black Sea area of European Russia when in 1849 he was arrested for his membership in the Petrashevsky Circle, a circle that was studying the work of French socialists. The most active of its members were sentenced to death (later commuted to life imprisonment); Danilevsky was imprisoned for 100 days in the Peter and Paul Fortress, and then sent to live under police surveillance in Vologda, where he worked in provincial administration. In 1852 he was appointed to an expedition led by Karl Ernst von Baer, whose purpose was to assess the condition of the fishing industry on the Volga and the Caspian Sea. The expedition lasted four years, after which Danilevsky was reassigned to the Agricultural Department of the State Property Ministry. For over twenty years he was responsible for expeditions to the White Sea, the Black Sea, the Azov and Caspian Seas, and the Arctic Ocean. The expertise that he gained from these expeditions led to the publication of his 1872 book, Examination of Fishery Conditions in Russia. Aside from his work on fisheries and the seal trade, Danilevsky was head of the commission setting the rules for the use of running water in the Crimea from 1872 to 1879, ran the Nikitsky Botanical Gardens from 1879 to 1880, and was part of a commission appointed to deal with the phylloxera epidemic in the 1880s. His papers on the climatology, geology, geography, and ethnology of Russia earned him a gold medal from the Russian Geographical Society. Danilevsky died in Tiflis, Georgia, and was buried at his estate in Mshanka, on the Crimean coast, opposite Istanbul. Danilevsky is mainly remembered for his opposition to Charles Darwin's theory of evolution and for his theory of historical-cultural types. Danilevsky's main work in this area is Darwinism: Critical Research (1885), which brings together more than 1,200 pages of arguments against Darwin's theory (mostly assembled from the literature that already existed at the time). This was, in fact, only meant to be the first volume of a longer work, the second volume containing Danilevsky's own theories (which he characterized as "natural theology"), but it was unfinished at his death, and when published posthumously contained only preliminary studies. 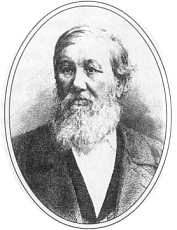 Danilevsky had been influenced by the work of von Baer, who had developed his own teleological theory of evolution, and who had gone on to criticize Darwin's work in the 1870s. Danilevsky took from von Baer's theory the notion of Zielstrebigkeit—the German word means literally "singleness of purpose," but Danilevsky imbued it with a religious aspect. He argued that evolution (and the original creation of the world) has a rational purpose, and follows the will of a divine creator. Danilevsky first published "Russia and Europe: A look at the cultural and political relations of the Slavic world to the Romano-German world" in the journal Zarya in 1869. It was republished as a monograph, and was the work that brought him international fame. The work pioneered the use of biological and morphological metaphors in the comparison of cultures. Danilevsky compared cultures and nations to biological species, denying their commonality, and arguing that each nation or civilization is united by language and culture, which cannot be passed on to any other nation. Thus he characterized Peter the Great's reforms as doomed to failure, as they involved the attempt to impose alien values on the Slavic world. Danilevsky distinguished four categories of historical-cultural activity: Religious, political, sociopolitical, and cultural. These gave rise to ten historical-cultural types: Egyptian, Chinese, Assyro-Babylonian, Jewish, Greek, Roman, Muslim, Slavic, and Romano-German. He then applied his teleological theory of evolution, stating that each type went through various predetermined stages of youth, adulthood, and old age, the last being the end of that type. He characterized the Slavic type as being at the youth stage, and developed a socio-political plan for its development, involving unification of the Slavic world, its capital at Constantinople (now Istanbul), ruled by an Orthodox Emperor. In Danilevsky's view there is no genuine or absolute progress, however, as history is circular. Kohn, Hans. 1953. Pan-Slavism: Its History and Ideology. Notre Dame, IN: University of Notre Dame. Kohn, Hans. 1955. The Mind of Modern Russia; Historical and Political Thought of Russia's Great Age. New Brunswick, NJ: Rutgers University Press. MacMaster, Robert E. 1967. Danilevsky, a Russian Totalitarian Philosopher. Russian Research Center studies, 53. Cambridge: Harvard University Press. Venturi, Franco. 1960. Roots of Revolution: A History of the Populist and Socialist Movements in Nineteenth-Century Russia. London: Weidenfeld and Nicolson. Zenʹkovskiĭ, V. V. 1953. Russian Thinkers and Europe. Ann Arbor, MI: Published for American Council of Learned Societies by J. W. Edwards. History of "Nikolay Yakovlevich Danilevsky"
This page was last modified on 12 January 2015, at 21:43.